Jessica Alba finishes up her Christmas shopping at Toys R Us. Honor Marie is one lucky little girl! 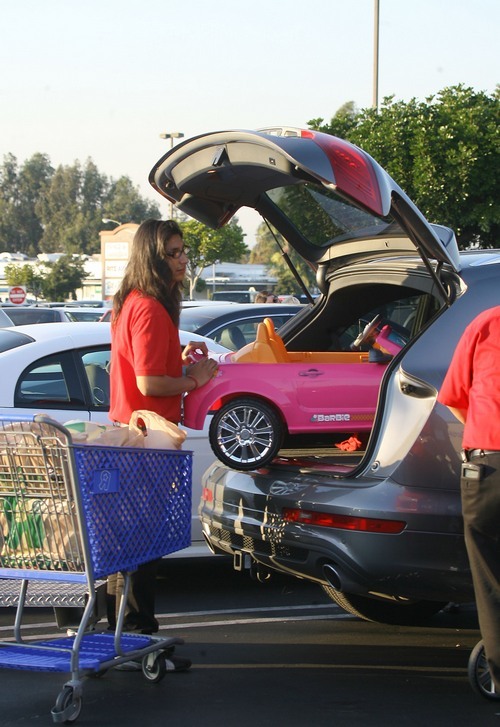 Celebrity mom Jessica was spotted at the store purchasing a hot pink Barbie Mustang convertible. While Honor was at school, Jessica and her daughter Haven headed over to pick up the surprise. They had some difficulty finding room in her SUV for the new ride on toy, as she had it filled with baby gear like strollers, etc. Do you have your shopping finished up yet? Did you spend more or less this year than you normally do?